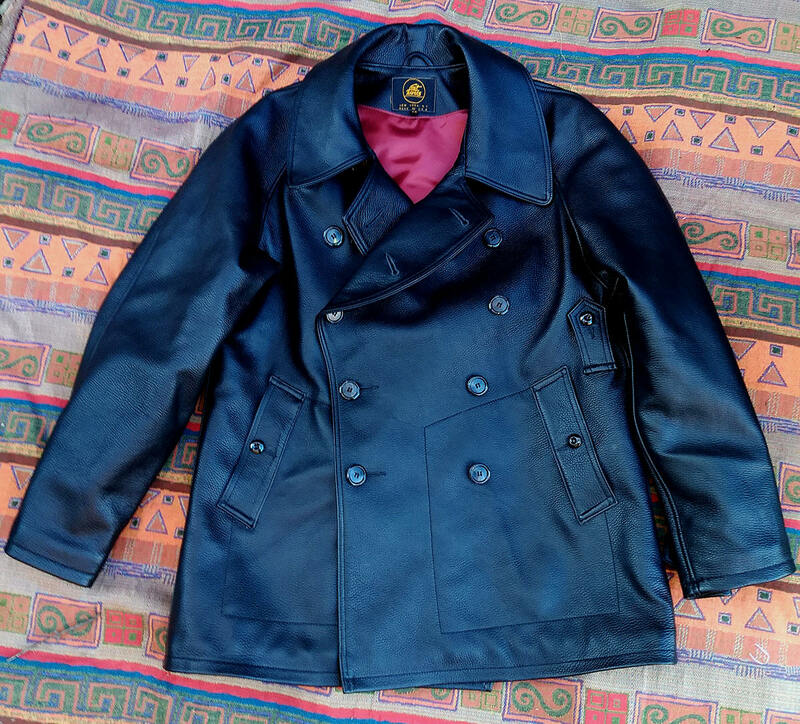 Lost Worlds Vintage Courier Pea Coat . 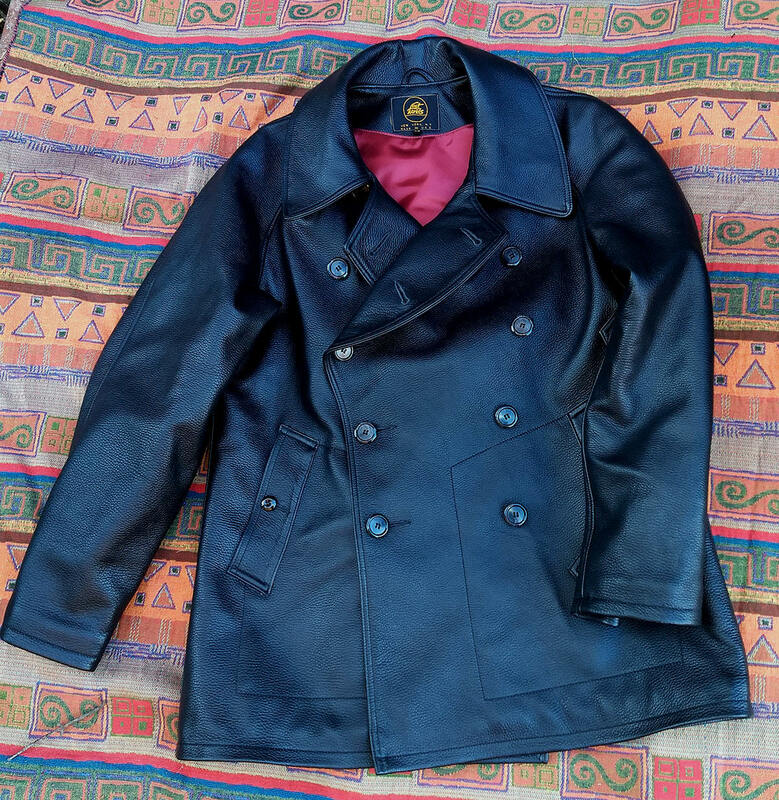 The Lost Worlds COURIER PEA COAT introduces a dashing alternative to our esteemed WWII spec. 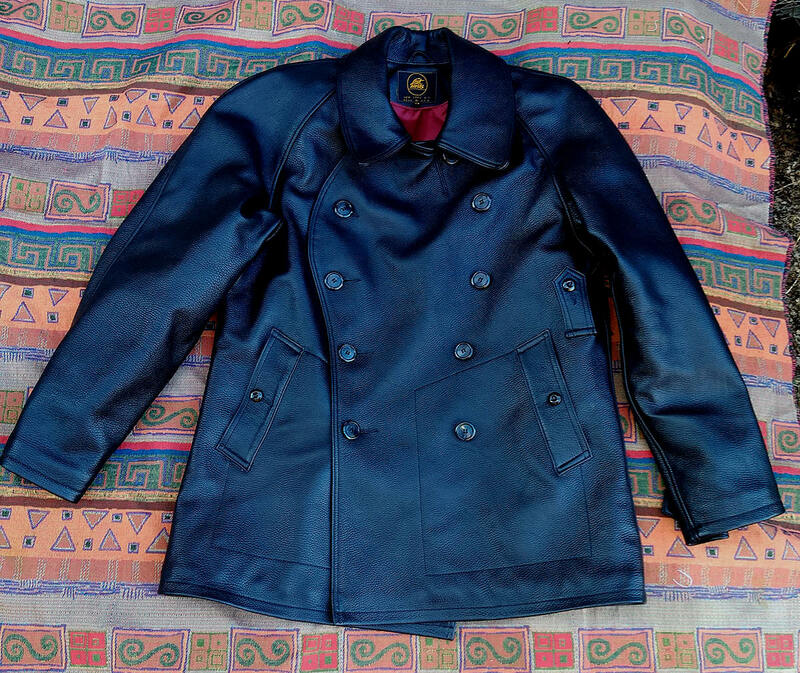 USN PEA COAT. 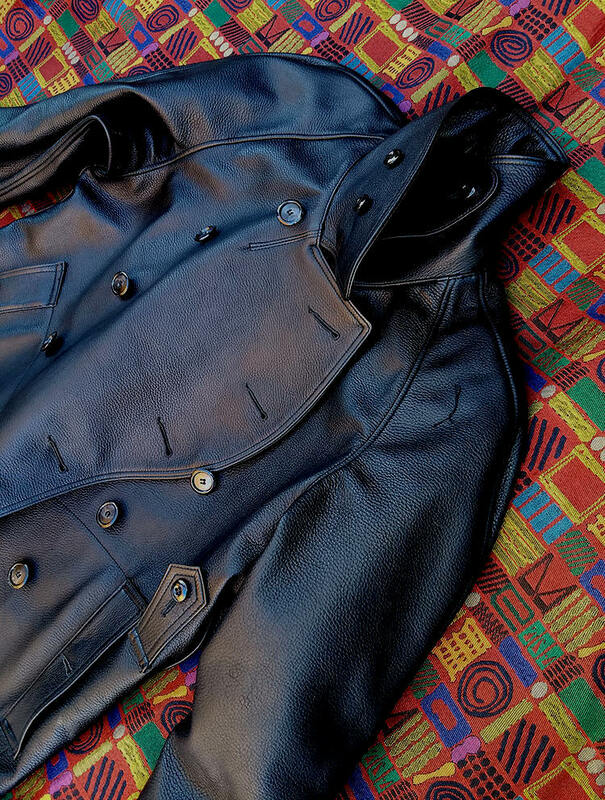 We call the COURIER a Pea Coat for its 10-button double breasted configuration but actually this fascinating design derives from a European military motorcycle messenger coat. 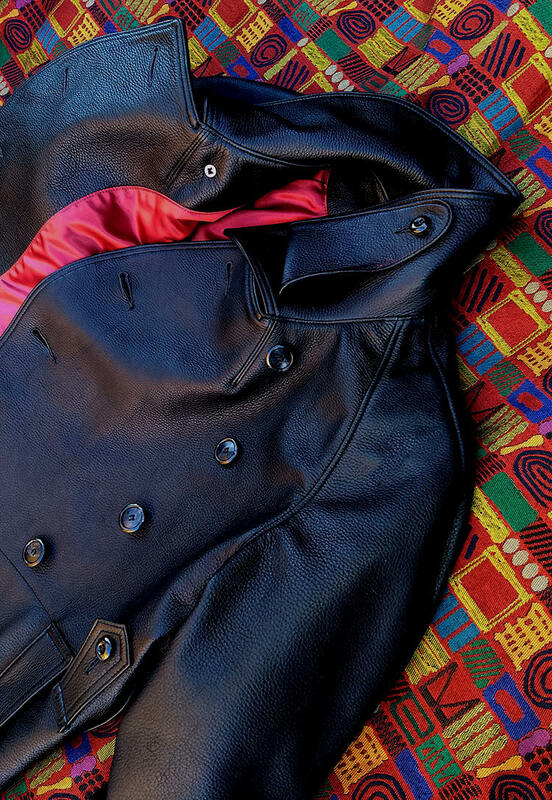 Our only divergence from the original -- incredible American Deerskin or famous incomparable Lost Worlds American Horsehide. 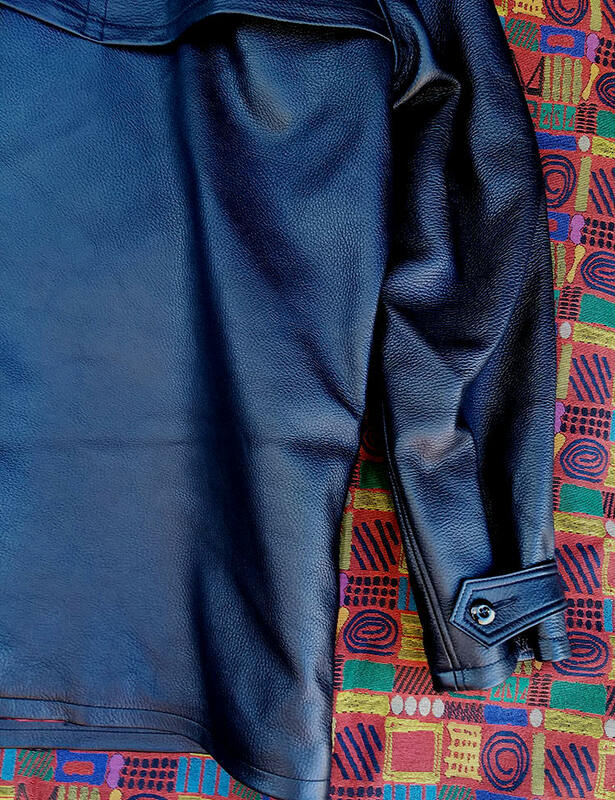 Our proprietary Deerskin has an invisible water repellency agent added to the finishing process, augmenting fabulous suppleness and drape with additional storied Lost Worlds durability, rugged functionality and performance. Style not "fashion." Style is immanent, fashion superficial glitz,. 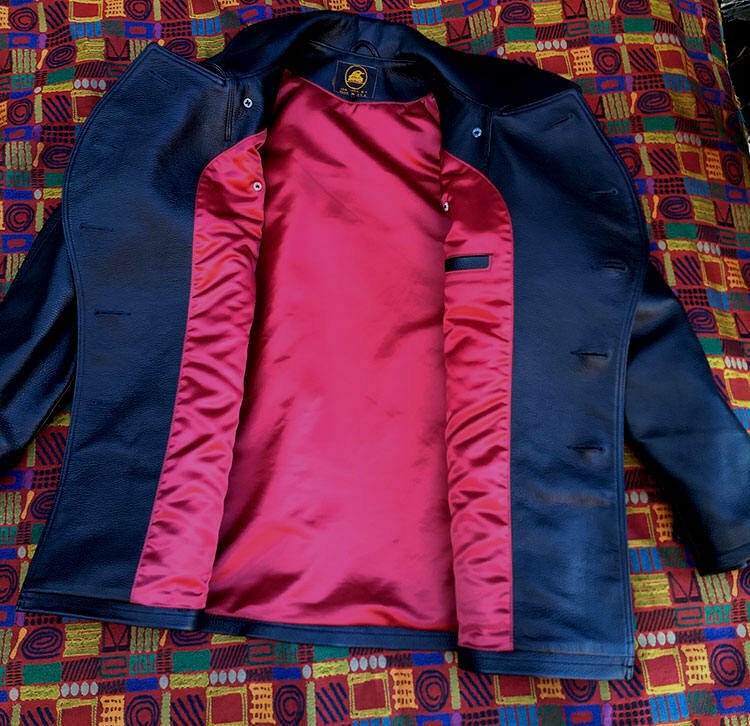 A Lost Worlds coat or jacket endows matchless American-made heirloom quality, elegance, exclusivity and, importantly, all-weather/all-event capability -- from the wilds to a night out. Lined in eye-catching super-durable, silken heavy Red Aviator pure Nylon Satin. Note the extraordinary detailing. 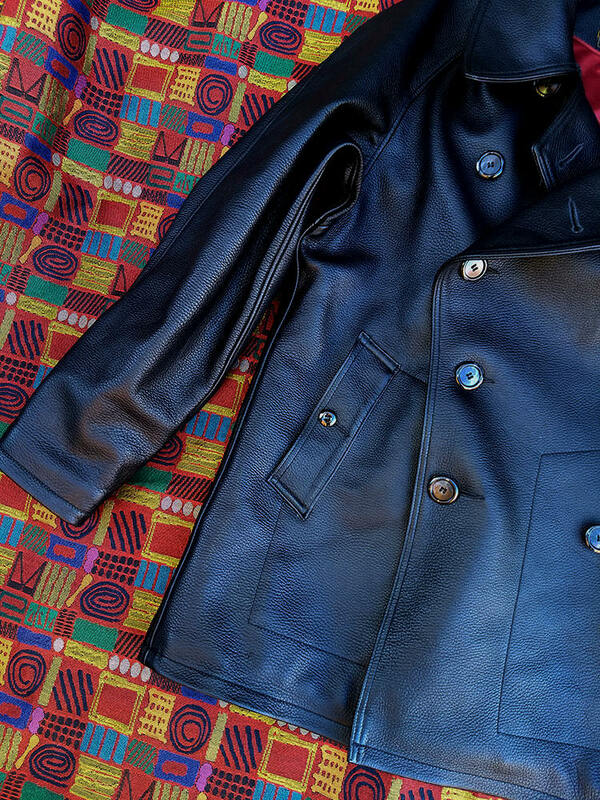 The artful sweeping front, brilliant pocket construction, caped back shoulder, elaborate collar closure strap, frontal strap tab, cotton sueded pocket linings and reinforced stitching throughout. Signature construction of mind-boggling, hallucinogenic (!) Lost Worlds accuracy and craftsmanship.